Remember that old chunky fax machine that you threw away? The one that is rotting away in some forgotten place? It turns out that these antiques can be gold mines of information for identity thieves who can gather all your information. Thermal fax machines that were produced from 2002 onwards contain rolls of film or ribbon that have recorded everything you have ever faxed. Hard drives are also another source of information that identity thieves can tap into to get all your valuable information such as confidential information, bank information, social security numbers, and health information, to name just a few. Throwing away old fax machines and other electronics that have valuable information is like standing on the corner of the street with an open wallet for anyone to have access to. There are ways to protect your information. 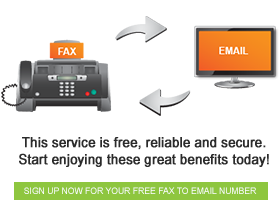 FaxFx provides a free fax to email service which allows you to send a fax document to an email address with improved confidentiality, especially when compared to a fax machine. Checking old fax machines and other electronic devices that you want to throw away for things such as the hard drive and the film or ribbon can be useful. In terms of the film or ribbon from an old fax machine shredding it can also protect information. You can also enlist the help of an eWaste management company that specialises in destroying film ribbons and hard drives.